Yvonne Anderson on God’s Joy! Are Fears more deadly than Toxins? So why do I have this blog? Our garden is just about fully planted. We bought some plants and sowed some seeds. Sowing seeds is always somewhat a mystery to me. 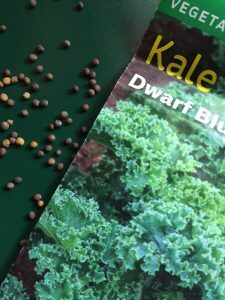 I buy the seed packets with the pictures of the vegetables I want to grow, and in most cases the packet seems empty; the seeds are so small. When I tear open the packet I find dry, brown seeds that don’t seem to have any life in them at all. I then carefully place a single seed into each hole I have made in the soil. Once I’ve filled the holes I smooth over the soil, covering the seeds. I leave the garden with it looking no different that when I went in. There is no visible evidence that I did anything. I know that I sowed the seeds, but no one else can tell. Only time will prove whether or not I sowed seed. Our words are as seeds sown in the hearts of others. And at the end of most days I don’t really notice any difference from the words I have spoken. But as time goes on a harvest will come. God realizes the power of sowing seeds! God desires a great harvest! Generations of much fruit! Sowing seeds in the home begins with the fear of the Lord. It is the profound reverence and awe of who God is, of all His attributes, of His sovereignty, and His never-ending love, that convinces us to commit ourselves to wholeheartedly obey Him, no matter what. Complete obedience makes the soil of the heart good! Good soil produces good fruit! The fear of the Lord and wholehearted obedience to His word produces a harvest of good fruit that our family will taste and see that God is good! Buying a packet of seeds, putting the seeds into a hole and covering them up seems so easy compared to what God is calling me to in these verses. Yet, there is a simplicity to my analogy that I like. Jesus said that a farmer scatters seeds and while he goes about his day he doesn’t understand what is happening to the seeds. They sprout, grow, and produce a harvest on their own. The simplicity of doing what I’m called to do; to fear God, wholeheartedly obey Him, and talk about Him and repeat His commands throughout my day, and then leave the sprouting, growing, and producing a harvest of the seeds I’ve sown in His hands sounds like a good idea! 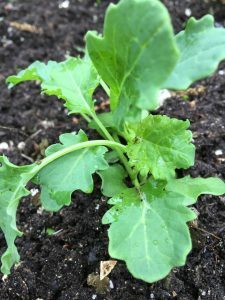 When I sow seeds in my garden I don’t go back every day and dig them up to check on them. I don’t worry or cut them open so that they will sprout quicker. I don’t get frustrated and pull on them to get them to grow faster. But as ridiculous as that may sound I have found myself checking on the seeds I have sown in the hearts of others. I’ve worried about them and tried to convince them to sprout. I’ve become frustrated and angry trying to get them to grow quicker. I have seen the fruit from their lives and have tried to change it by manipulation and control. Working in our garden has helped me to realize what my part is and what God’s part is. There is a cycle of life that is found in everything God has created. There were seeds of truth sown into my heart. No one caused them to sprout, pulled on them to make them grow, nor manipulated and controlled to produce a harvest. Those seeds of truth sprouted as the Holy Spirit watered them with conviction and opened my eyes to see my need for a Savior. Those seeds of truth grew as Jesus shone His light into my heart, trading my shame for His righteousness. Those seeds of truth produce a harvest because God is for me and His love for me keeps me in abiding in His presence. This is the cycle of good that God intends for my family as well. And so I am called to sow seeds into the hearts of my family. And I can have full confidence that the same Holy Spirit, Jesus the Son, and God the Father, will sprout, grow, and produce a great harvest from the seeds I sow! Previous Previous post: Purpose of the Critter?